Wireless, Decentralized, Edge, IOT. All these descriptors about new systems that can deliver value to a building are predicated on a digital foundation. Without that foundation they fail to reach their desired value. IndoorVu is the partner to provide the digital information about a building to enable all the new technology that is making the building safer, smarter and more efficient. Oftentimes, just basic 2D (or 3D) maps and models do not contain enough detail for these technology systems to operate. They need to know the exact location of each asset. 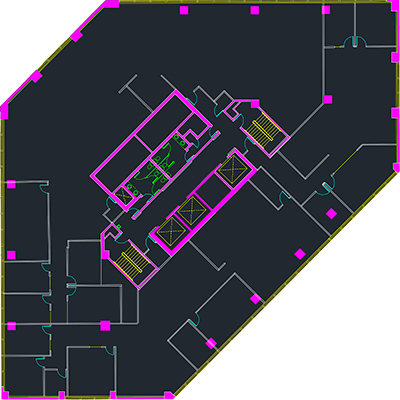 IndoorVu can extract assets inside a building as small as 4 - 5 centimeters and deliver their location in a variety of data models, 2D or 3D, CAD or GIS. Many of today’s (and tomorrow’s) in building technology systems require digital models to power the systems. The software that drives the value of these systems needs to know where each asset is in relation to other things in that building. IndoorVu can quickly and accurately deliver geo-referenced maps inside of buildings. IndoorVu can quickly measure and model the inside of buildings in 3 Dimensions. For many technologies, being able to do 3D analysis during the design, installation and maintenance of a system is critical to its value. Some technology systems have been designed to consume point cloud data. In that case, IndoorVu can provide georeferenced point cloud information at a variety of levels of detail in a variety of file formats and structures.